Please! Ryan Needs YOUR Help! - Very Barrie Colts | A website covering the Barrie Colts of the OHL. 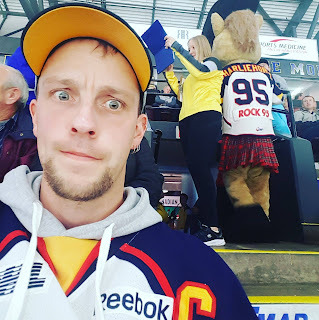 Home Barrie Colts blog GoFundMe Paul Ryan Noble Please! Ryan Needs YOUR Help! Please! Ryan Needs YOUR Help! Hi! My name is Paul Clemente and I'm an (infrequent) contributor here at A Very Barrie Colts Blog. I have been friends with Ryan for six years. We met on Twitter, bonding over Japanese Horror movies. In those six years, I have grown to love Ryan like a brother. His kindness, compassion and humor have steered me through some terrible personal difficulties. To elaborate, back in 2013 I was going through a shocking divorce, that was compounded with mental, financial and legal issues. It was the worst year of my life. Ryan committed to keeping me company over Google Hangouts several times a week. We used this time to watch wrestling, draw lewd pictures, and conceptualize comedy projects. He even wrote me a song! Ryan, undoubtedly, was there for me when I needed someone the most. This is the type of human Ryan Noble is. Ryan, also, runs A Very Barrie Colts Blog out of his own pocket. He doesn't have paid sponsorship, YouTube contracts, or any 3rd party media entity running the particulars of his site for him. For the most part, he is a one-man band. He does it because he loves the Barrie Colts (and cats) and his community. Now Ryan needs YOUR help! Ryan was born with a congenital heart disease called Tetralogy of Fallot. 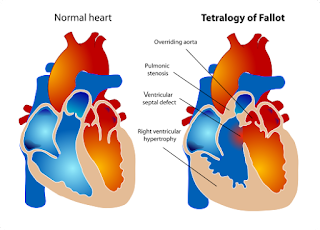 He is going through with another open heart procedure to fix this. This procedure will keep him out of work for months. This is where WE come in. Ryan has a GoFundMe page. I encourage you to give anything you can. He would (and has) donated his time to any and all philanthropic projects to help others and now it's time to help him out.